The United States Constitutio n’s Sixth Amendment states “In all criminal prosecutions, the accused shall enjoy the right to a speedy and public trial, by an impartial jury of the state and district wherein the crime shall have been committed, which district shall have been previously ascertained by law, and to be informed of the nature and cause of the accusation; to be confronted with the witnesses against him; to have compulsory process for obtaining witnesses in his favor, and to have the assistance of counsel for his defense.” The phrase that most of us probably cite most often is the last one, “the assistance of counsel.” There are many aspects to demonstrating that an attorney has lived up to a reasonable standard of competence. The Supreme Court, in Strickland v. Washington, 466 U.S. 668 (1984), has held that the Sixth Amendment does not just guarantee a right to counsel – it guarantees a right to effective counsel. And, the Supreme Court has interpreted this right as extending to all “critical” stages of a criminal proceeding. For a number of different reasons, ineffective assistance of counsel can be a factor in an alleged wrongful conviction. Examples may be include an attorney’s failure to call a witness, properly investigate the facts of the case, cross-examine a witness, request DNA testing, make objections to a prosecutor’s arguments, acknowledge a conflict of interest, or present an expert witness on behalf of the defendant. This article briefly investigates the last circumstance. Indeed, “[c]riminal cases will arise where the only reasonable and available defense strategy requires consultation with experts or introduction of expert evidence.” Hinton v. Alabama, 134 S.Ct. at 1088 (quoting Harrington v. Richter, 562 U.S. 86, 131 S.Ct. 770, 788 (2011)). When is an attorney’s decision not to retain an expert witness a matter of reasonable trial strategy and tactics, and when is it evidence of ineffective assistance of counsel, resulting in a substantial likelihood of a miscarriage of justice? In reviewing a claim of ineffective assistance of counsel for failure to retain an expert witness, an appellate court must evaluate and determine whether the attorney’s decision was within the range of competence demanded of attorneys in similar criminal cases. The reviewing court should avoid the “distorting effects of hindsight” and “judge the reasonableness of counsel’s challenged conduct on the facts of the particular case, viewed as of the time of counsel’s conduct” (Strickland, 466 U.S. at 689-90). As the United States Supreme Court has said, sometimes “a single, serious error may support a claim of ineffective assistance of counsel.” Kimmelman v Morrison, 477 US 365, 383 (1986). Daniel Pollack is a professor at Yeshiva University’s School of Social Work in New York City and a frequent expert witness in child welfare cases, including child abuse, neglect and dependency cases. 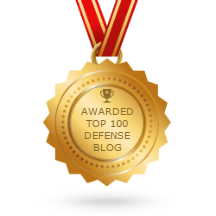 Dan is a frequent guest contributor to the Ohio Family Law Blog since 2009. He can be reached at dpollack@yu.edu or at 212 960-0836. This article, “Failing to call an expert witness in criminal child maltreatment cases may be ‘ineffective assistance of counsel’” originally appeared in Policy & Practice, June 2017, 25 & 34. This entry was posted in Expert Testimony and tagged expert witness, ineffective counsel, sixth amendment. Bookmark the permalink.